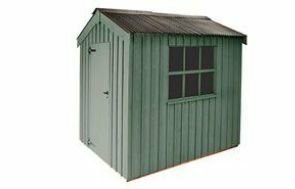 Our pent-roofed Oxburgh shed was inspired by an old outbuilding at the moated country house of Oxburgh Hall, located outside Swaffham in West Norfolk. The Peckover has been designed with the outbuilding from Peckover House & Garden in Wisbech in mind, with Georgian-style windows, a door in the gable and an apex roof. 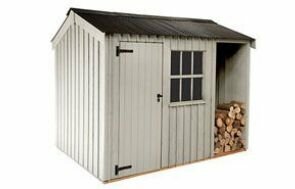 Our traditional apex roof Felbrigg garden shed was inspired by an outbuilding at the 17th century Felbrigg Hall, in the heart of the North Norfolk countryside. 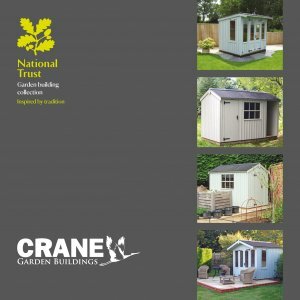 A Range of National Trust Sheds to suit your needs. Designed to meet your exact requirements in terms of size and specification. 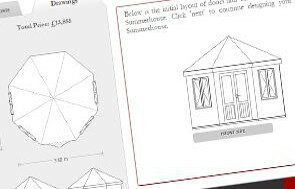 Click here to download our Shed brochure. 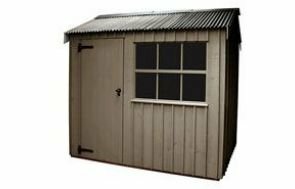 Taking inspiration from bygone ages, but constructed using modern techniques, our National Trust range of Sheds is practical, affordable and beautiful. Combining traditional design features with an attractive colour palette, they easily fit into any garden. Each of our buildings are hand-crafted by our team of specialist carpenters and joiners from FSC® certified timber, sourced from a sawmill close to the Arctic Circle in Northern Sweden. Every building is manufactured on site at our factory HQ in West Norfolk, near King's Lynn by our team who construct every aspect of every building from scratch, to ensure construction of the highest quality. The outbuildings of National Trust properties around in East Anglia were the source of our inspiration and four traditional designs have been created, to suit style tastes, garden sizes and layouts. 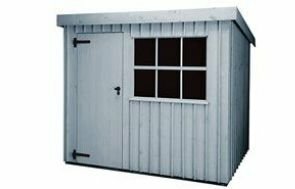 Our Sheds feature high quality exterior finishes and are exceptionally durable, meaning maintenance is kept to a minimum.